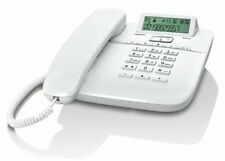 Simple Value Corded Desk Corded Single Telephone - White. 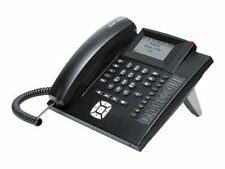 The corded desk phone from our Simple Value range will keep you connected. The smart white finish will suit any room. 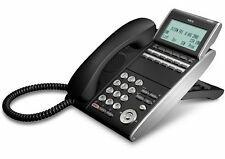 With easy-to-read large buttons, this corded phone makes dialling simple. Large buttons. Hands free dialling and speakerphone. Only compatible with Standard SIM cards not micro or nano cards, also not suitable for Network 3. Available in a choice of black or white. Authorized Crosley Dealer + Full Factory Warranty!!! Expandable up to 16 stations. Speakerphone Yes. Corded or Cordless Corded. Digital answering system. Answering Machine Yes. Redial/hold/mute/flash. 1 to 4 line capability. Hearing aid compatible. 16 differnet variations of voice change. Model # ve300. Yellow color. ATC Impression. Cool Gray in color. Single Line. 20 speed dial buttons. Handset Cord. This will work with either tone or dial pulse (rotary). You can switch between the two if necessary. User's Manual. Single Line With Data Port. Model No. 250000-VBA-20MD. 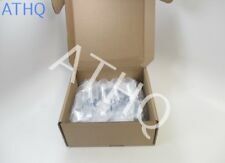 As shown in the pictures, you will receive 1 used Clarity W1000 large button phone. And the phones had cords?. And worked when the electricity went out?. We have 100 of these phones available! All manufactured in 1996 and none of them have ever been used. I only opened the box of one to take pictures for this ad. Big Button Trim Phone Corded Desk Wall Mount New Radio Shack 43-3224 Black. Condition is New. Shipped with USPS Priority Mail. Like new fun fun phone! Comes with cord to plug in. The slot on the door for labeling has a # written on both sides One weird twist on the cord shown in picture. With the touch of a button, the handset speakerphone makes hands-free conversations easy. The entire keypad illuminates along with the LCD screen, allowing for easier viewing in dim light. Power-conserving technology manages consumption for optimal battery performance. Plus, the TR1909W is user friendly with a light up keypad and a desk or wall mountable design. Last number redial. (1) Aastra, Model 470, complete with handset and cord. Panasonic KX-T7633 Phone REPAIR PART. Original Plastic Button Lot. A redial feature lets to quickly call the last outgoing number (up to 32 digits). It uses a simple corded operation and is made of sturdy construction. The base can be placed on a convenient surface or can be mounted on the wall, saving on counter space. Simple Corded Line Power Mode. Big Button Display. Display Dial Flash. Last # Dialed. Small Button PCB, Part No. 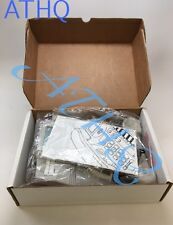 Panasonic KX-T7633 Phone REPAIR PART. The phone has been tested and works. The numbers light up and the speaker is in good condition. Phone appears just as shown. Phone does work, and is free from cracks and breaks in the plastic. 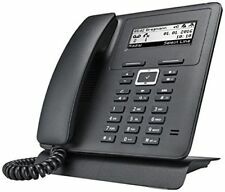 The phone is reset to Factory Default and ready to setup with any SIP phone system. AC adapter is included. Product Series 2500. Color Beige. Phone Line (RJ-11) Yes. 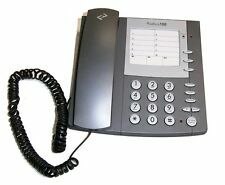 Product Type Standard Phone. Total Number of Phone Lines 1. Hearing Aid. Single-gong ringer. Technical Information. Tested and works great. light scratching and scuffs. 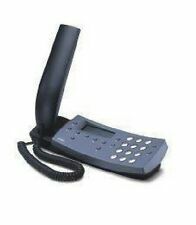 Innovage Sunmt 13B1502084 Phone with Calculator 1502084 Desktop Adjust Office. Condition is Used. Shipped with USPS Priority Mail. NICE AND CLEAN AND READY TO RECEIVE THOSE CALLS. PHONE JACK LINE IS INCLUDED. Has 'Contempra' marked on the body and the receiver with a number, '852517'. The rotary dial is on the handle along with the number. 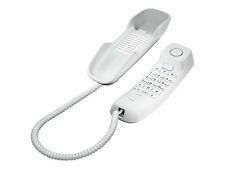 Crosley CR55BC Wall Phone - Brushed Chrome. Condition is Used. Shipped with USPS Priority Mail. Good working condition from a smoke free home. Hi. I have a neat red Bang & Olufsen Beocom 2500 phone for sale. Crosley CR-59. Switch for Tone or Pulse. Pink Princess Phone. Rotary Style Push Button Dial Technology.